We’ve all seen a ton of innovation and unconventional ideas of recent and this one is certainly right up there. 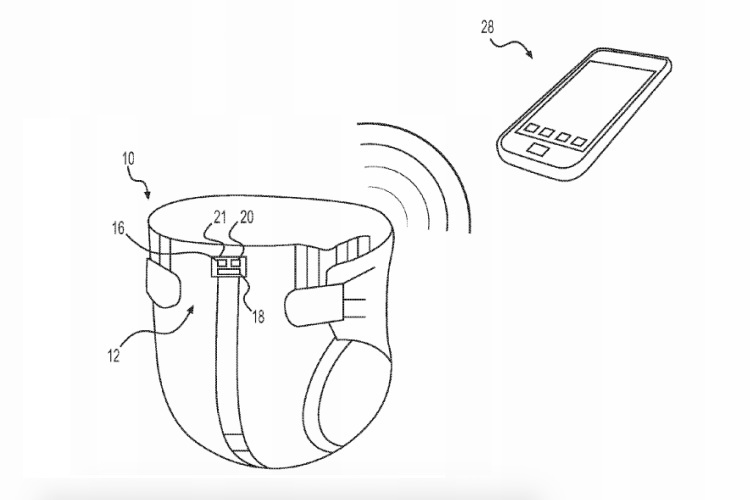 Alphabet’s life sciences division has filed a patent for a wireless ‘smart diaper’ that could prove to be quite helpful for parents of the future. 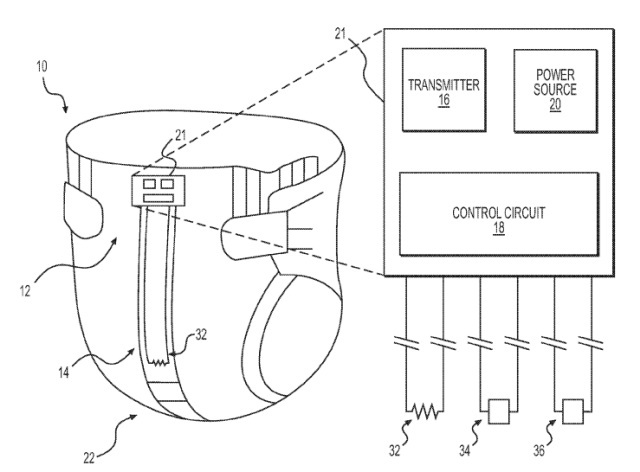 First spotted by Ars Technica, this patent was filed a couple years ago in October 2016 and is for a smart diaper that can detect when there’s a new ‘event’ and then analyze the same to tell you whether your newborn has just peed or pooped. This may absurd to you at first, but this a real patent (see the reference images attached below) for research in the wearable space. The smart diaper has a connected device that would be attached to the absorbent areas of a diaper and it will signal your mobile via an app that’ll be able to catalog and keep a record of events. Verily is looking to build an affordable and easy-to-use solution, with diaper sensors (that may include a temperature sensor and accelerometer as well) and the circuitry housed in the front of the diaper. The researchers think there’s still a ton of scope for improvement and convenience is usually welcomed by open arms. Right now, this is just another patent application and its intended purpose is quite unclear to us. If it was able to recognize whether the child is about to poop or pee, then it can prove to be a whole lot useful for parents who need to cover up their nose while they change a dirty diaper. With a warning system in place, they can be notified beforehand to take necessary steps with adequate time at hand. This is convenient and all, but still a patent on a paper. But, the important question is whether you’d buy a smart diaper for your newborn? Tell us in the comments down below.